The Nest Fall 2011 Magazine is live & digital! 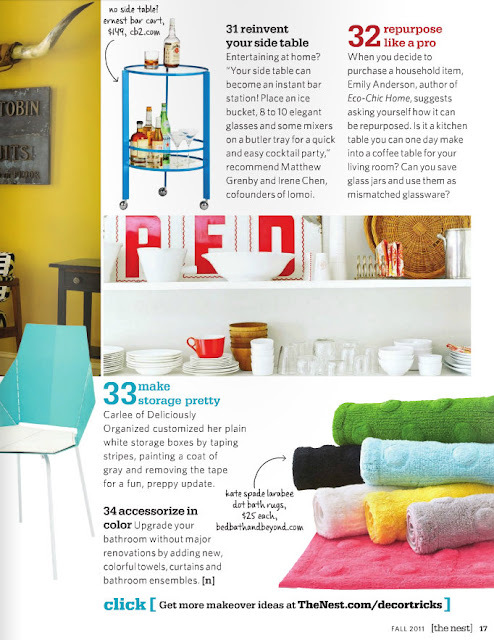 This issue is full of tips on reinventing your home decor & I'm grateful to be a part of it along with great company! I love the idea of repurposing items. I've always been a sucker for glass jars and twistie ties! Congratulations on being featured in The Nest! What a great magazine! Congrats on being apart of it! Congratulations!! I am really all for repurposing things! What a blessing to have been featured!! Congrats! These boxes are fantastic. Thats so exciting! Congrats on the fun mention! !